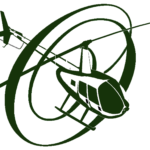 Make an unforgettable date for you and your special guest by sharing a private helicopter flight over Portland with Oregon Helicopters. Surprise your partner by escorting them out of the elevator and onto a rooftop helipad. We even fly the tours in a heart shape flight path! We assure you this is a date that will be cherished forever. Tours are available for 15 mile and 35 mile distances (approximately 15 minute and 30 minute tour times respectively) and for both day and night time flights. All romantic date tours are private, and include chocolates and a dozen roses. Call with any questions or book here. Tour begins and ends at the heliport on top of SmartPark building on 1st and Davis, at 33 NW Davis St. Parking easily available in SmartPark garage below helipad.